Hurry up and enjoy today’s food holiday! November 16 is National Fast Food Day. Dietitians may cringe, but fast food is wildly popular worldwide, especially in the U.S. It is estimated that 41% of Americans eats fast food at least once a week, according to Pew Research. Fast-food and drive-through restaurants are a direct result of he popularity of the American automobile in the years following World War I. Walter Anderson built the first fast-food restaurant, called White Castle, in Wichita, Kansas in 1916. A second location in 1921 made White Castle the first fast food chain of restaurants; they were known for their 5-cent slider hamburgers. 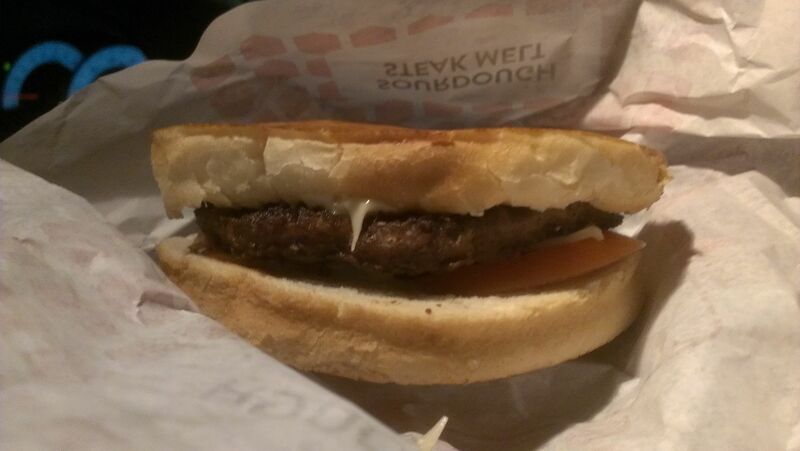 White Castle was a success from the very beginning, and spawned many imitators. The earliest included A&W Root Beer, who revolutionized the concept of franchising in 1921; 7-Eleven in 1927; Kentucky Fried Chicken in 1930; McDonald’s in 1940; and In-N-Out in 1948. The term “fast food” first appeared in Merriam-Webster’s dictionary in 1951, and the concept became especially popular during that decade. Fast food is often vilified for being a highly processed nutritional nightmare, but it is this emphasis on speed, uniformity, and low cost that has made fast food popular with consumers. No big surprise: who doesn’t appreciate a tasty, cheap, quick meal? As you might imagine, different variations of fast food are popular in other parts of the world. Japan’s got their sushi, the Middle East has kebab houses, Asia has noodle shops, and the U.K. is known for their fish ‘n chips. The Dutch serve French fries with mayonnaise (and other sauces) and meat, and in Portugal, local dishes such as piri-piri (marinated grilled chicken), espetada (turkey or pork on sticks), and bifanas (pork cutlets) are served with – once again – French fries. The common denominator. I would personally love it if White Castle expanded to the West Coast. I’ve only ever been there once in my life, on a road trip to the midwest in 2011, and it was like the Holy Grail of my vacation. Alas, no such luck, but we do have Jack In The Box out here, which is hard to find back east. Kind of makes up for the White Castle slight. We were in Salem, the state capitol of Oregon, tonight to get our culture on and catch some dance. Afterwards, we swung by the aforementioned Jack In The Box. This photo was taken in the car at 10 PM, and isn’t nearly as impressive as it tasted. Trust me…my Sourdough Jack and french fries were delicious! They have a sandwich that is like a philly cheesesteak that is so, so goooood!! And don’t even get me started on their mini-corndogs…holy smokes!! Don’t forget the coveted and delicious Monster Taco. It was very hard to resist ordering up a couple of those instead, but I figured they’d be too messy to eat in the car.